Moving from one of the most highly valued and exciting places to work at to another, Google’s Amit Fulay has drawn the curtains on his association with Google, to join Facebook. 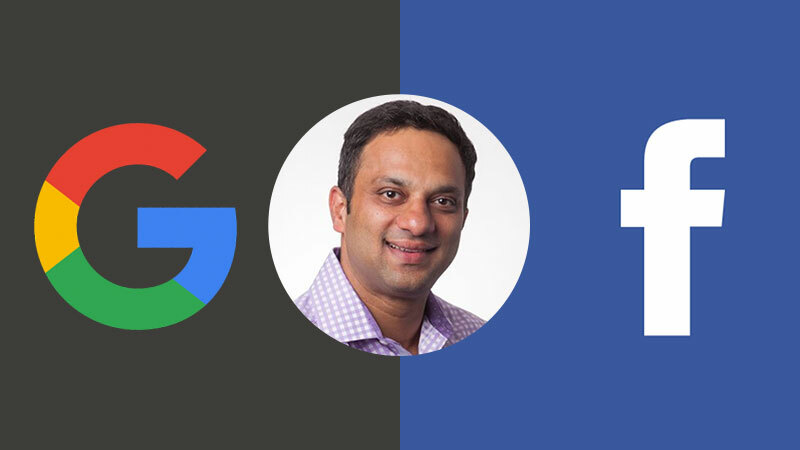 Amit Fulay, one of the major contributors behind Google’s Allo, the instant messaging platform, Duo and even Google’s Hangouts ends his journey with the company where he dispensed his duties as the Head of Product for Google Allo and Duo. He now joins the Menlo Park based social network reportedly to help Facebook fine tune their Instant Messaging products. It is unconfirmed whether Facebook could be building a new IM platform with the help of Amit Fulay from the ground up, or whether he will work on Messenger and WhatsApp. The last 7.5 years have been nothing short of amazing at Google. It was a privilege to help build Allo, Duo & Hangouts. Thanks to my amazing teammates who made the journey something I will cherish forever. 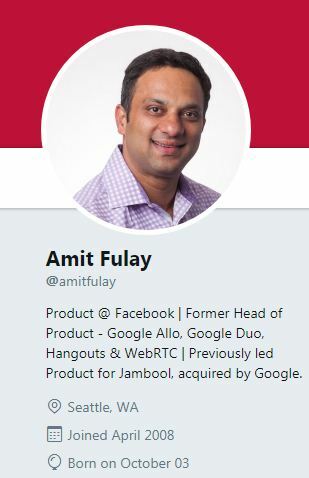 Amit Fulay took to his Twitter account to confirm his departure from Google, expressing his fondness with working for the company for the past 7.5 years building Google Allo and Duo and many more products. His bio now reads ‘Product @ Facebook’ although accurate details of his position are still not available, although considering his stature at Google, a higher ranking designation cannot be ruled out. He has also previously worked for Jambool, a virtual currency platform acquired by Google back in 2010 as the Product Head, which explains his 7.5 year association with Google. Fulay appears to have had been reassigned to lead Google’s Product division then onwards.